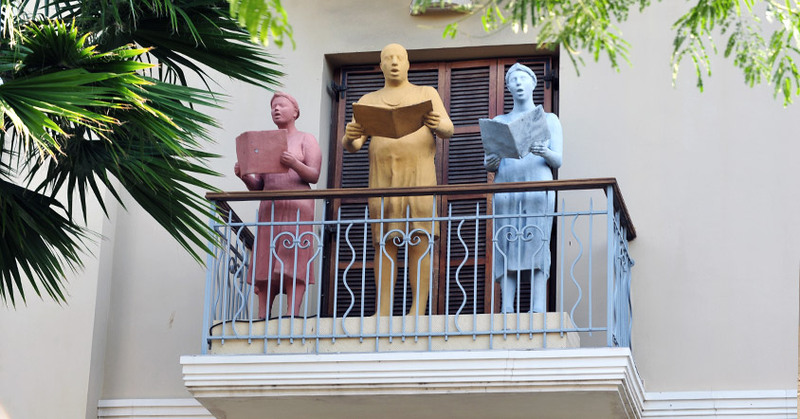 The colorful Bialik House, situated appropriately at 22 Bialik Street is the place to go to learn more about Israel’s first national poet. He lived there with his wife Mania and the house features books, letters and artwork given to the poet by some of the nation’s greatest artists. This local café named after the novella by Antoine de Saint-Exupéry, is a place where book & food lovers can do two of their favourite things at the same time. The cafés walls are covered in shelves of used books you can delve into while the store has a stock of both Hebrew and English literature. This funky café has two locations, in both Mazeh Street and Rabin Square. The later boasts a rich psychotherapy section while the one in Mazeh has a heated patio and full roster of screenings that are open to the public. If you forgot to pack your vacation-reads, Yosef Halper , the friendly American owner of Halper’s Books on Allenby Street (the largest purveyor of English language books) – can guide you through the shelves, where two-thirds of its 50,000 titles are in English.